The Investigators’ classroom is designed to build upon the 4-5 year olds’ increasing competence, sense of interconnectedness, and communicative abilities. Curriculum emerges from the interests of the children, with thoughtful provocations from teachers who continually listen for and document children’s ideas. When a child steps into the preschool classroom, he or she enters a bright, home-like space, with natural materials offered as thoughtful provocations in areas of science, art, mathematics, and language. Frequent invitations are offered to students to explore the outdoor areas, whether on the playground, the wikiup, or in the gardens. Teachers honor the freedom to engage in imaginative play, which is crucial for children to develop critical thinking skills, communicate effectively, problem solve, and understand the perspective of others. The Explorers’ classroom is designed for children aged 3-4 years, to expand upon their developing sense of independence and inquisitiveness about the world. While the teachers continue to provide warmth and encouragement, they are also devoted to helping children expand their ideas. 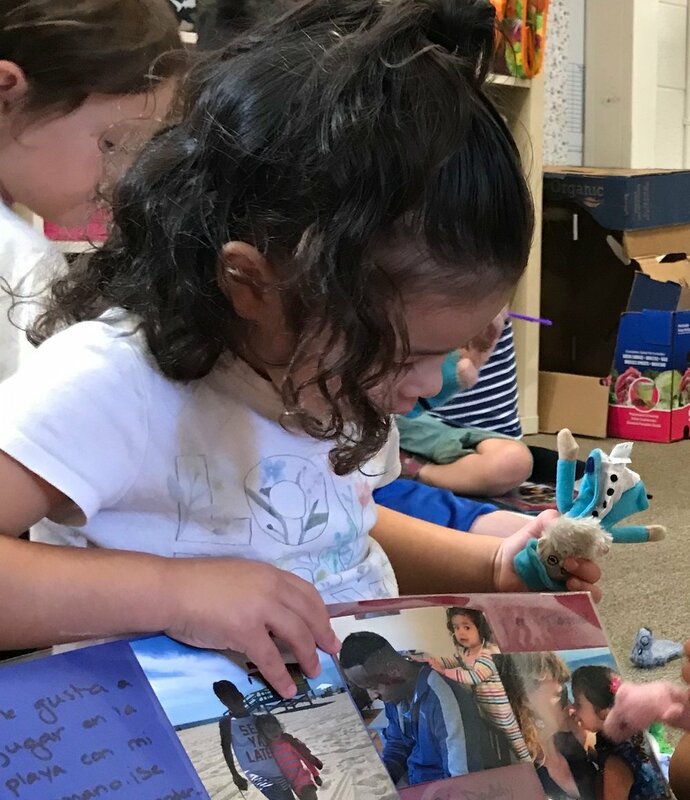 Through conversations at circle time and throughout the day, Explorers’ teachers continually respond to students’ interests and curiosity with natural materials, art, and documentation that enables children to tell their own stories. In a peaceful atmosphere that is enhanced by access to the outdoors, music, and play, children are empowered to engage in the creative process. The Discoverers’ classroom is designed for toddlers aged 2 to 3 years, to help build upon the strong sense of self students are developing for preschool and beyond. As children are encouraged to communicate their needs and ideas, they also gain foundational skills that are critical for learning. Nurturing teachers encourage opportunities for children to manage how to play with others, develop focus, and achieve self-control. Natural materials, music, and outdoor time harmonize with the children’s growing mastery of fine and gross motor skills. Teachers cultivate a playful, warm, and encouraging community of students that allows for individual choice and freedom of movement. The Wonderers’ classroom engages our youngest learners, aged 12 months to 2 years, in a nurturing, safe, and home-like atmosphere that offers enriching opportunities for play and social interaction. The low child-teacher ratio ensures that each child experiences the individual attention, linguistic interaction, and care of loving teachers while also being encouraged to explore the world around them. The Wonderers’ day incorporates open-ended materials, sensory experiences in the outdoors, music, and art. As children engage with others and develop cognitive and gross motor skills through play, teachers help expand their natural curiosity in an environment that always honors each child’s sense of wonder. The basis of multilingualism plants seeds for a lifetime of diverse understandings of our world. Our dual language classroom offers daily interactions, songs, and celebrations conducted in Spanish from educators who share their rich cultural experiences. This multi-age class for children ages 2-5 (students can remain with the same teachers throughout their preschool years) also provides foundational skills and social-emotional care for young children’s growth.